Whether you're working, playing golf or riding a bike, helping you maintain an active, pain-free lifestyle is our primary goal at The Hospital of Central Connecticut. Triumphant stories of past patients. 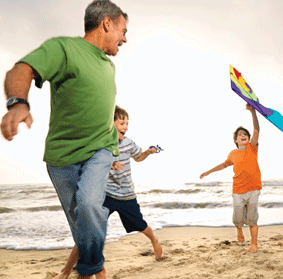 Our physicians share ways to remain active throughout the year safely. This service is offered at locations and clinics convenient to our patients, both at The Hospital of Central Connecticut and other organizations within Hartford HealthCare. The Hospital of Central Connecticut’s orthopedics services include diagnosis and treatment of a variety of conditions. We'll care for you from the time you decide to undergo surgery through recovery. This includes preoperative classes for joint replacement patients, inpatient and outpatient physical and occupational therapy, rehabilitation and home health care. We're with you every step of the way in your treatment plan, be it for a minimally invasive spinal surgery or advanced techniques for hip, knee or shoulder joint replacement. Our focus is on helping you move forward. 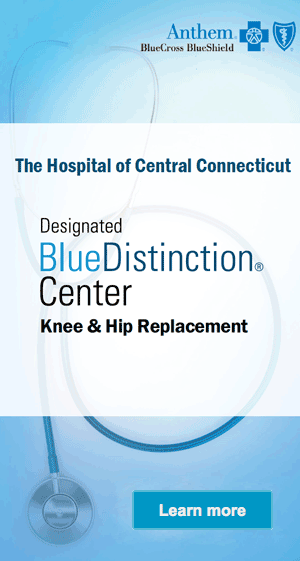 The Hospital of Central Connecticut (HOCC) is one of two hospitals in Connecticut and one of 40 nationwide participating in the American Joint Replacement Registry (AJRR), a national organization designed to improve patient outcomes through data collection on total joint replacement procedures. Hartford Hospital is an 867-bed Level 1 Trauma Center and regional referral center that provides high-quality care in all clinical disciplines. It is one of the largest teaching hospitals and tertiary care centers in New England.